There is a very nice monument in Russia dedicated to the Russian airship "B6" which was destroyed in the winter of February 1938. 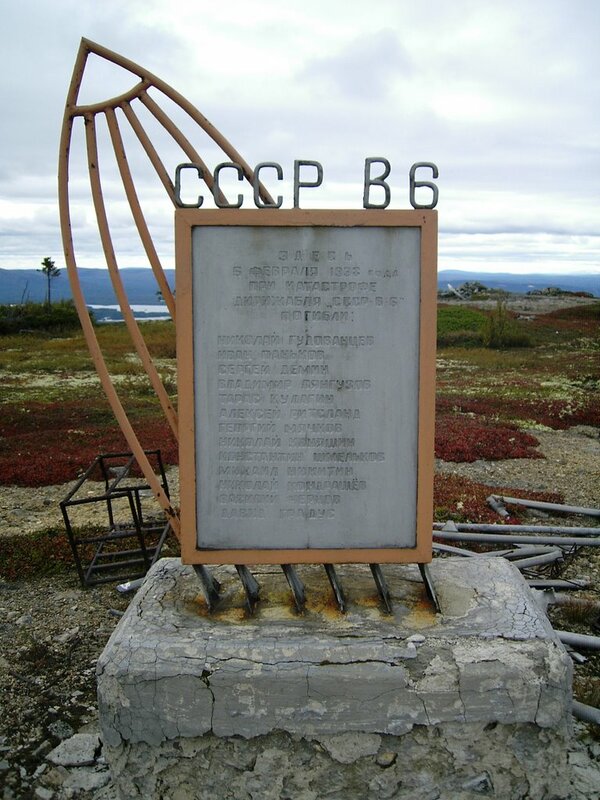 Twentyfour kilometers (14.5 miles) southwest of the village of Kandalaksha is a memorial to the crash of the CCCP-B6 airship on 6 February, 1938. The B6 began its final journey from Moscow on February 5th. 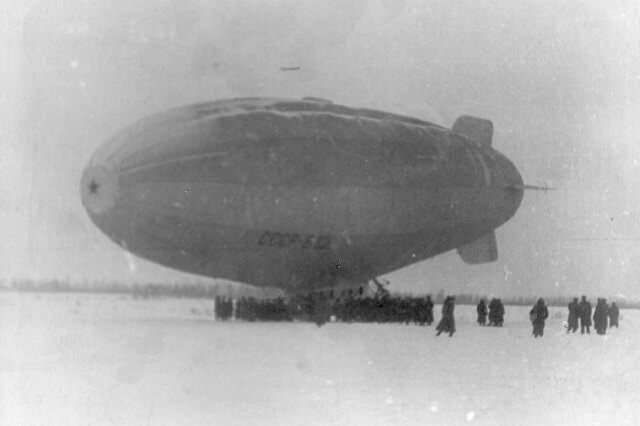 As the airship was approaching Kandalaksha in the evening darkness, it encountered bad weather: low clouds, snowfall, and poor visibility. The B6 impacted the top of Neblo Mountain and burst into flames. Thirteen of the crew of 19 died. The crewmembers who perished were buried at the Novodevichy Cemetery in Moscow. A monument to the B6 is located at (Lat Lon) 67.048596 031.936797. Memorial to the CCCP B6 at the Novodevichy Cemetery. A monument to the B6 is located at (Lat Lon) 55.725833 037.553611. 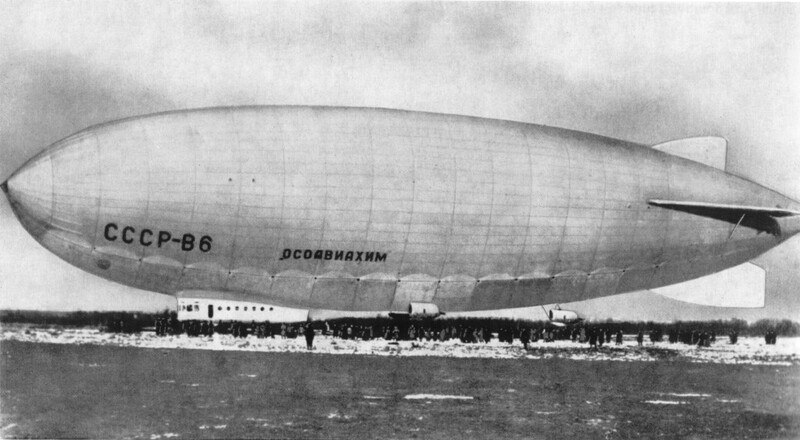 The CCCP B10 (USSR V10) Airship. Photo credit: Photo album from the archive of DKBA, by Mikhaltsov SN. 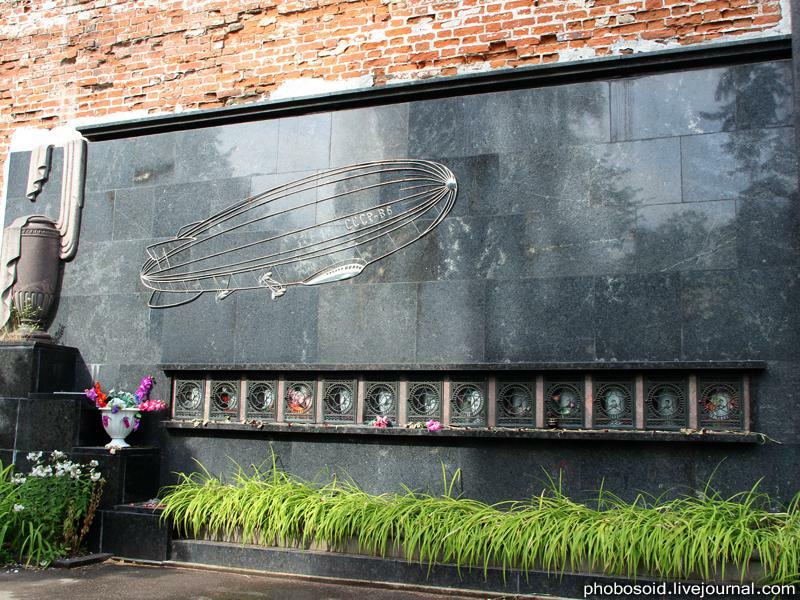 On August 6, 1938, the B10 airship crashed in the Beskudnikovo area as a result of a rupture of the envelope. 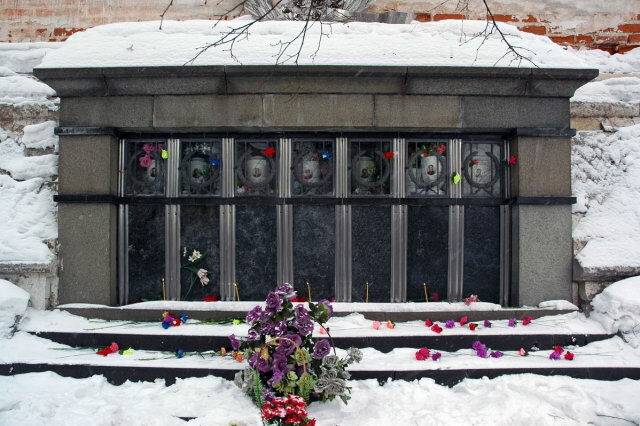 Six people died and are memorialized at the Novodevichy Cemetery in Moscow. The memorial is not far to the west of the B6 memorial. A monument to the B6 is located at (Lat Lon) 55.725906 037.553402.